The left sees Trump as a retrograde menace to the diverse and inclusive society of their hopes and dreams. They use the hashtag #resist and chant, “He will not divide us.” Those most radicalized against Trump call themselves Antifa (anti-fascists) and pose as the vanguard of “the resistance” against an incipient return of Nazi-like savagery. Which side truly champions civilization, and which threatens it? To answer this meaningfully, we must first understand what civilization is. The word civilization ultimately derives from civitas, the Latin word for city. In a sense, civilization is the way of life of the citizen, or city denizen. And the most distinctive and fundamental feature of city life is its economic aspect. 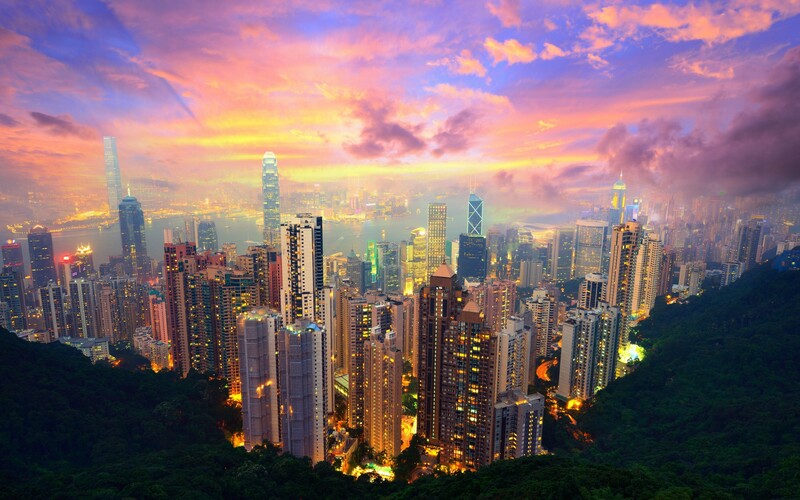 Plato explored the essential characteristics of the city in The Republic. He asked, what are the economic rudiments of a city-state? Most essential, he answered, is the provision of the citizenry’s bodily requirements: the bottom level of Abraham Maslow’s hierarchy of needs pyramid. Humans need food to sustain their life, as well as shelter and clothing to protect them from the elements. Plato then asks, should each individual provide all three for himself and his family? That is the mode of provision typical of the world outside the city. Some families, clans, and tribes — whether hunter-gatherers, nomads, or peasants — produce everything they use. Such economic isolation is called autarky. But according to Plato, each citizen would be better off if the work were divided: if each citizen specialized. One might be a farmer, another a builder, another a weaver. The farmer produces food, not only for himself, but for the builder and the weaver. The builder produces shelter, not only for himself, but for the farmer and the weaver. And the weaver produces clothing, not only for himself, but for the farmer and the builder. Why this “division of labor,” as Adam Smith would call it centuries later? Because, as both Plato and Ludwig von Mises agree, human beings are diverse in their productive capacities. Some are better suited to farm, others to build, still others to weave. If the best farmers kept their hands to the plow, the best builders stayed in their wheelhouse, and the best weavers stuck to their knitting, then more Shake Shack burgers, trendy lofts, and Spanx leggings would be produced than if everybody had to do all three. But what if the best at all three jobs happened to be the same person? Even then, it would be in the interest of each individual to divide their labor, as explained first by the classical economists James Mill and David Ricardo by expounding the Law of Comparative Advantage. For example, below the Spanx headquarters in Atlanta is a Shake Shack. For all I know, Spanx founder Sarah Blakely might be a better cook than the teenager at the grill downstairs. The billionaire could take the time to source and make her own Shackburger. But doing so would come at the expense of instead dedicating that time to minding her undergarment empire. If Sarah works on Spanx business during that time, she’ll probably produce so much value for her customers that they will pay her enough money to buy as many Shackburgers as she could ever want, and much more besides. So it makes sense for Sarah to specialize in her field, and to leave food production to others: to spend her working hours on clothing, and pop downstairs whenever she craves a burger for lunch. In economic terms, even though Sarah might have an absolute advantage in producing both undergarments and burgers, the fry cook has a comparative advantage in producing burgers. Back to Plato, who then extended the logic of specialization beyond the production of consumer goods to the production of capital goods. The individual whose comparative advantage is in using a plow shouldn’t waste good plowing-time in making one. He should focus still further on farming and let others specialize in producing the “implements of agriculture,” Plato argued. “Neither will the builder make his tools” as an isolated peasant does, he continues, nor any other producer of “goods of the first order,” as Austrian economist Carl Menger called them. Instead, in the city you will find abundant artisans manufacturing what Menger called “goods of higher orders”: carpenters making plows, smiths making saws, etc. By dividing their labor, ten workers could make “upwards of forty-eight thousand pins in a day,” while, if they were working in isolation, each worker would scarce be able to make one. Does all this sound excessively materialistic? Well, humankind’s physiological needs are a fact of life. You can’t buy true love, but neither can you love when you’re dead from hypothermia. And it’s difficult to contemplate the universe, the soul, or a work of high art when you’re delirious from hunger. 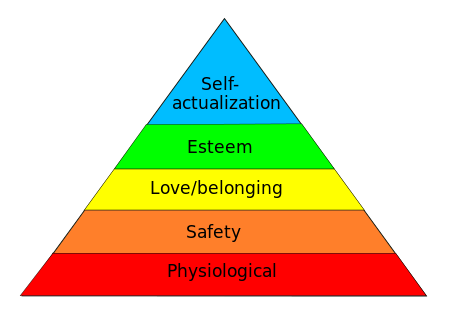 In other words, we cannot ascend toward the top of Maslow’s pyramid without first climbing its bottom level. And since there’s nothing wrong with wanting to enjoy life, it’s also worth noting that the efficiency of the division of labor is what affords citizens the comforts, conveniences, amenities, and luxuries associated with city life. Mises ascribed so much significance to the Law of Comparative Advantage that he renamed it the Law of Association. He deemed the division of labor to be the very basis of human society. Humans are capable of recognizing the benefit of dividing their labor with others, and so they do so. This creates economic interdependence. The builder and weaver depend on the farmer for their food. The farmer and weaver depend on the builder for their shelter. The farmer and builder depend on the weaver for their clothes. This interdependence dramatically increases the costs of conflict and the desirability of peaceful coexistence. The builder might have the strength to murder the farmer and steal his crop. But then he’ll have to grow his own food henceforth, which again is far less efficient than selling houses and using the proceeds to buy food. So the division of labor breeds civility, which is another characteristic mark of civilization: norms that minimize conflict, ranging from human rights (life, liberty, and property) to manners. And this civility, in turn, fosters still further economic cooperation. Now we have a picture of civilization: the division of labor, prosperity, and civility. And this image is most vividly portrayed by an ideal, thriving city, bustling with industry, commerce, intellectual pursuits, lively discourse, artistic creation, and urban delights. But to realize this picture, commerce and the division of labor within the city are not enough. As Plato wrote, “to find a place where nothing need be imported is well-nigh impossible.” The Law of Comparative Advantage doesn’t stop operating at city limits, nor even at water’s edge. Foreigners too have comparative advantages different from us, not only in aptitudes, but also in access to natural resources. So not only does it make economic sense to have commerce with our neighbors, but with distant peoples. Why grow bananas in Massachusetts hothouses, when you can catch lobsters and sell them for enough money to buy more bananas from balmy Latin America than you could have possibly grown in frigid New England? By facilitating such cross-border commerce, merchants extend the division of labor beyond the factory and the city and across the whole world. In his essay “I, Pencil,” Leonard Read illustrated how, in a modern economy, even the production of a simple pencil is the result of millions of people across the planet dividing their labor: from lumberjacks in Oregon to graphite miners in Sri Lanka, from the makers of chainsaws to the manufacturers of mining equipment. Such vast specialized cooperation unlocks commensurately vast efficiencies, which is what makes pencils, and countless other products, so abundant and therefore affordable in a globalized economy. Such mass availability of everyday goods are the material foundations of our high living standards. Just as it does within the city, the international division of labor creates international economic interdependence, which fosters international peace. If goods cross borders, armies are less likely to. It makes little sense to bomb your foreign markets or your supply chain. Trade is “cosmopolitan” (cosmopolis being Greek for “world city”) in the sense that it extends the civilization of the city — the division of labor, prosperity, and civility — across the whole world. Again, the division of labor promotes civility. Now that we are more familiar with the meaning of civilization, we are finally in a position to judge the pro-Trump right and the anti-Trump left, both of whom posture as protectors of civilization. Protectionism, the doctrine favored by Trump and his fans, disintegrates the global division of labor. It bars producers on both sides of the trade barrier from focusing fully on their greatest comparative advantage, and so makes them far less efficient, and consumers in both countries poorer. Every protectionist measure is a step back toward the deprivation of primitive autarky. It is also a step on the road to war. Just as the division of labor breeds civility, economic nationalism leads back to the savagery of tribal warfare (now with larger tribes called nations). If goods don’t cross borders, armies more likely will. Even more dangerous to world civilization than the barbarians at the gates are the barbarians with the gates (barriers to international commerce). The left is obsessed with class warfare and identity politics. Far from healing divisions in society, these preoccupations only create and exacerbate them, threatening the civil harmony generated by the division of labor. Class warfare disintegrates the natural harmony of interests among producers and consumers, sellers and buyers, hirers and hirees, capitalists and laborers, the wealthy and the non-wealthy, etc, by pitting these groups against each other. It also impoverishes all by hampering the domestic division of labor. As discussed above, commerce breaks down prejudice and fosters cosmopolitan civility: not only among cultures and religions, but between sexes and among races. “Social justice warriors” threaten to undo this genuine progress by sowing civil strife with their hair-trigger sensitivities, witch hunts against thought-criminals, and predilection for manufacturing identity-based grievances and victim complexes. Far from effectively dissuading bigotry, such excesses seem to be driving people to join the Alt-Right in disgust and out of defiance. As both Antifa and the Alt-Right escalate their rhetoric and rowdiness, even to the point of periodically brawling in the streets like redshirts and brownshirts in the late Weimar Republic, it’s good to keep in mind that neither are friends of civilization, and neither are worth siding with. Originally published at www.libertarianinstitute.org on March 7, 2017.